Q. How old do I have to be to get married? Q. How long does a Wedding Ceremony take? ceremony can be done in 5 minutes. Q. How many people need to be at the Wedding Ceremony to make it legal? that can hear the vows and witness the signatures and also understand the proceedings. Q. Why use a Celebrant, rather than a Minister of Religion or the Registry Office? A. Some religions forbid a second marriage and it is also about choice. location. Ie. parks and gardens, beaches, the hills or even your own backyard. Q. How do we get a Marriage Certificate? A. I will give you one on the day of the wedding, after the Ceremony is completed. Q. Is there any more paperwork to fill out after we get married? A. No, after you are legally married no further paperwork is required. I arrange all of the paperwork prior to the Wedding Ceremony as part of my service. Q. Does the bride have to be given away? the father/s, mother/s, brother/s, sister/s, best friends/, and even children giving the bride away. then the Ceremony can take place after 1 Calender month. Q. What if we can’t wait a month plus 1 day to get married? 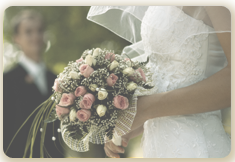 notice or wedding or celebrations arrangements or religious considerations. Q. Where can I get the NOIM from? The form is available on the right hand side of the web page. Q. What if I don’t have access to a computer to access the NOIM? A. I can provide a form for you. Q. When we complete the NOIM form how do we lodge the form? A. You send the NOIM to me, then I will arrange for the form to be sent to the appropriate authorities. Q. Is assistance given to compile the words and vows for the wedding ceremony? A. Yes, part of my service is to assist you with the words until you are completely satisfied. Q. Can we make up our own wedding vows? the wedding lawful. You may add to these words. My job is to assist you with this. Q. Where or how do we start the process? 1.Make an appointment to see me. 3. Book the reception centre or ceremony site. 4. Fill in the NOIM and post or deliver it to me. Death Certificate if your previous partner is deceased. of the document in English. Please discuss this with me.